Celia Alario is a communications strategist, facilitator, coach, spokesperson trainer and educator. She cavorts with grassroots change agents, artists, academics and journalists who share her love for social justice, planetary healing and culture shaping. In the last 25 years Alario has collaborated on groundbreaking media campaigns, provided one-on-one coaching for Communications Directors and staffers, trained hundreds in public speaking and spokesperson skills and placed thousands of stories about critical social justice and environmental issues in media outlets worldwide. Alario uses Re-Imagining Change as a text in her undergraduate and graduate Environmental Communications classes, which she offers in the winter quarter at her alma mater, UC Santa Barbara. She is currently researching ‘Best Practices’ in the field of grassroots communications training and capacity building as a Masters Degree Candidate at UNZN’s Centre for Civil Society, in Durban, South Africa. She serves on the Advisory Boards of IVAW (Iraq Veterans Against the War) and The Kindle Project, and alternatively chases her poodle across the majestic red rock landscapes of Moab, Utah and the effervescent coastlines of Santa Barbara, California. Find her on Instagram and Twitter @celiaalario. Yee Won Chong is a trainer and strategist. His consulting practice aims to increase organizations’ ability to fulfill its purpose by focusing on movement building, becoming more strategic, and creating inclusive organizational culture. He has trained employees of government agencies and colleges to create transgender-inclusive workplaces, coached community-based organizations on using racial equity strategies, and led nonprofits through real-time strategic planning. Yee Won is also passionate about using storytelling to change hearts and minds. His TEDx Talk, “Beyond the Gender Binary,” is used widely to spark discussions about gender. He actively works on expanding the definition of family through the Strong Family Movement. He has testified in front of Oregon state legislators and published “There’s More Than One Kind of Family — It’s Time Our Laws Include Everyone” in HuffPost. He is currently working on “Trans Dudes with Lady Cancer,” a film documentary highlighting his personal experience navigating the healthcare system as a transgender patient. Gopal has been involved in fighting for social, economic, environmental and racial justice through organizing & campaigning, teaching, writing, speaking and direct action since the late 1980’s. He currently serves on the Staff Collective of Movement Generation: Justice and Ecology Project, which inspires and engages in transformative action towards the liberation and restoration of land, labor, and culture. MG is rooted in vibrant social movements led by low-income communities and communities of color committed to a Just Transition away from profit and pollution and towards healthy, resilient and life-affirming local economies. Gopal is an trainer with the The Ruckus Society and serves on the boards of The Center for Story-based Strategy, The Working World and The ETCgroup.org. He is on the advisory board of the Catalyst Project. Gopal works at the intersection of ecology, economy and empire. Gopal has been a campaigner for Silicon Valley Toxics Coalition on human rights and environmental justice in the high-tech industry and the Oil Campaigner for Project Underground, a human rights and environmental rights organization which supported communities resisting oil and mining exploitation around the world. Gopal has been active in many people powered direct action movements, including the Global Justice/Anti-Globalization Movement, Direct Action to Stop the War, the Climate Justice movement, Take Back the Land, Occupy and as an ally with Black Lives Matter. Gopal was an elementary and early childhood educator, working formerly as a teacher and as the co-director of the Tenderloin Childcare Center, a community based childcare center supporting children and families forced into homelessness. He has worked in teacher education and education organizing in the US and briefly in India. Most importantly, Gopal is the father of Ila Sophia and Kavi Samaka Orion. He lives in Oakland in an intentional, multi-generational community of nine adults, eight children and a bunch of chickens. Jennifer started her work in movement building as a community organizer at Blocks Together a membership-based direct action organization in Chicago's Westside. For seven years, she worked on education, housing, incarceration, and economic justice campaigns. Besides developing and implementing campaigns, she intentionally integrated communication and fundraising into her organizing to develop member leadership. In 2009, she dedicated herself full-time to fund development at Interfaith Worker Justice, worked as a fundraising consultant, and as a board member of the Grassroots Institute for Fundraising Training (GIFT). She then oversaw the fundraising of 10 grassroots affiliates at the Restaurant Opportunities Centers (ROC) United as the Development Director, including helping to found two new affiliates. Jennifer now serves as the National Domestic Workers Alliance’s Communications Director. She is leading the organization in developing a comprehensive communications strategy that both builds domestic worker leadership and positions NDWA as a leading voice in the intersection of immigration, labor, gender, and racial justice issues. Trina is a social justice activist and organizer based in Boston. She has facilitated numerous trainings and workshops on racial justice, anti-oppression organizing, and reproductive justice for women of color. She works as an organizational development consultant to social justice nonprofits. Previously, she served as an advisory board member of the Mass CEDAW Project, a founding member of Boston Incite! Women of Color Against Violence, Boston Women of Color Coalition for Reproductive Justice, and the Board Chair at Alternatives for Community and Environment (ACE), which works to achieve environmental justice for low income communities of color. Trina is interested in African American women's relationship with the natural environment. She lives in Jamaica Plain, enjoys nature photography, yoga, and talking daily walks around Jamaica Pond in her neighborhood. Jacqueline is the Director of the NAACP Environmental and Climate Justice Program. Since 2007 Patterson has served as coordinator & co-founder of Women of Color United. Jacqui Patterson has worked as a researcher, program manager, coordinator, advocate and activist working on women‘s rights, violence against women, HIV&AIDS, racial justice, economic justice, and environmental and climate justice. Patterson served as a Senior Women’s Rights Policy Analyst for ActionAid where she integrated a women’s rights lens for the issues of food rights, macroeconomics, and climate change as well as the intersection of violence against women and HIV&AIDS. Previously, she served as Assistant Vice-President of HIV/AIDS Programs for IMA World Health providing management and technical assistance to medical facilities and programs in 23 countries in Africa and the Caribbean. Patterson served as the Outreach Project Associate for the Center on Budget and Policy Priorities, and Research Coordinator for Johns Hopkins University. She was also a U.S. Peace Corps Jamaica volunteer. Patterson’s publications/Articles include: ”Jobs vs Health: An Unnecessary Dilemma”, “Climate Change is a Civil Rights Issue”, “Gulf Oil Drilling Disaster: Gendered Layers of Impact”, “Disasters, Climate Change Uproot Women of Color” and an upcoming book chapter, “Equity in Disasters: Civil and Human Rights Challenges in the Context of Emergency Events” in the book Building Community Resilience Post-Disaster. Patterson holds a master’s degree in social work from the University of Maryland and a master’s degree in public health from Johns Hopkins University. She currently serves on the Gender Justice Working Group of the US Social Forum, the Advisory Committee for The Grandmothers’ Project, the Steering Committee of Interfaith Moral Action on Climate Change, as well as on the Board of Directors for the Institute of the Black World, Center for Story Based Strategies and the US Climate Action Network. Sara Dillon is a Senior Organizing Manager in the Western Region with the Sierra Club. Originally from West Virginia, Sara began organizing in eastern Kentucky with Kentuckians For The Commonwealth to renew and reform Kentucky's rural electric cooperatives. Since then, she has deepened and broadened her organizing commitments to include just transition, racial justice, and a healthy democracy, while also bringing a strategic communications and digital strategies lens to relational organizing. While with KFTC, Sara served on the board of the Climate Justice Alliance. Sara has a PhD in creative writing with an emphasis in poetry and has published a chapbook of poems. She lives in Lexington, Kentucky. Based in Toronto, Amara works with a number of organizations to build purpose-driven, engaged, and resilient teams who can take bold action. She has a background in designing and running campaigns and deliberative processes, as well as in non-profit governance, organizational development, media relations, digital engagement, and training and curriculum design. She has worked with progressive organizations for a decade, most recently as Leadnow's Campaign Manager. While at Leadnow, she managed Vote Together, a strategic voting campaign that integrated sophisticated digital tools and a deep field organizing effort to help defeat the Harper Conservatives during the 2015 election. She also led a national engagement process to define the organization's priorities, built the early stages of a distributed organizing network of volunteer-led teams, and co-led Skills for Solidarity, a national dialogue and training project about allyship with First Nations. 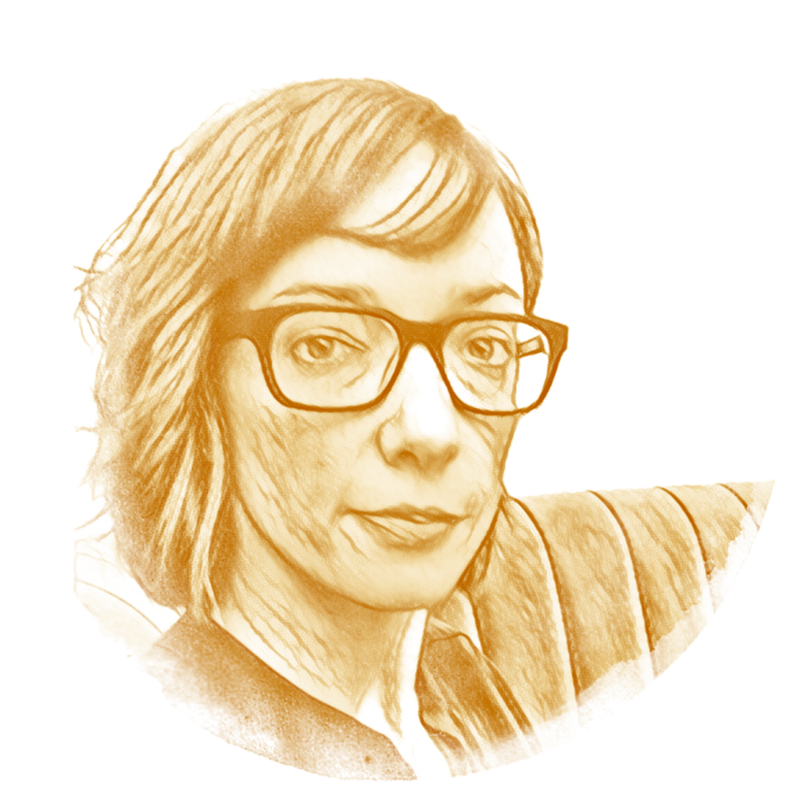 Amara chairs the board of the Centre for Story-based Strategy and has a Graduate Diploma in Social Innovation where she explored the links between social justice, social innovation, and reconciliation. Michael Premo is an artist, journalist and filmmaker. He is Executive Producer of Storyline, a production company building power with story and strategy. 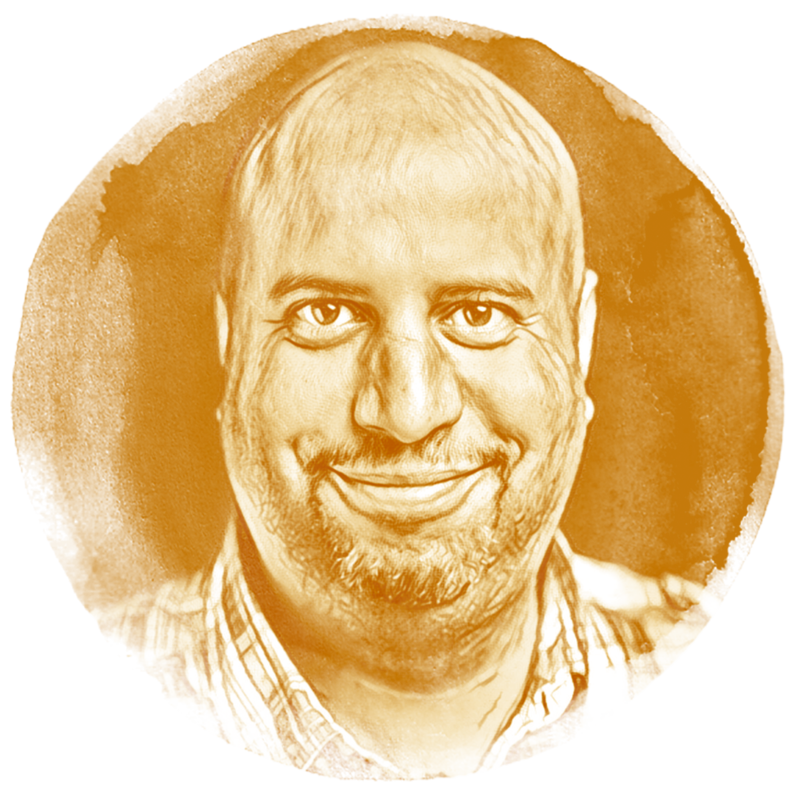 He has created, produced and presented original works of art and media with numerous companies including Hip-Hop Theater Festival, The Foundry Theater, The Civilians, and the Peabody Award winning StoryCorps. Michael's photography has appeared in the New York Times, and Het Parool (Holland), among others. Some recent work: Short film and exhibit Water Warriors, participatory documentary Sandy Storyline, PBS series Veterans Coming Home. As an impact producer Michael helps filmmakers and organizations with the strategic use of art and media in progressive social change campaigns. Most recently working with Naomi Klein and Avi Lewis, helping design and implement a global outreach and engagement campaign for their book and film project, This Changes Everything. As an organizer he has worked on a range of campaigns from base building to large scale movements. He is an affiliate consultant/trainer with the Interaction Institute for Social Change and is on the Board of Trustees of A Blade of Grass. Sean A. Watkins (he/him/they) is a communications consultant, storyteller, and lover of joy, with over 8 years of experience across the nonprofit and social justice movement worlds. He is a dedicated believer in a better world and leads with wholistic instincts, matched with a keen eye and ear. As a consultant, Sean is committed to helping his clients – small and large, grassroots to corporate – develop effective social media strategies that get the most engagement. A queer Black man with a working-class family background, at the age of 16, Sean had the opportunity to live a year in Brazil as a foreign exchange student, an experience he attributes his desire to create impactful change in the world. In his career so far, his achievement highlights include a proven track record of overseeing social reach and engagement growth for his clients by the millions; co-producing the Black Women Leading panel series with Don Cheadle and The Solutions Project; co-organizing a global march for climate action with GreenFaith into the Vatican’s St. Peter’s Square and recognized by Pope Francis; and working with celebrity and social influencers such as Mark Ruffalo, Leonardo DiCaprio, Malissa “Mali” Hunter, and Cameron Russell. In addition, he serves as Vice Chair of the Board of Directors for Center for Story-based Strategy, a movement-building organization that is part of a grassroots cultural uprising of people power demanding change. A graduate of Michigan State University's James Madison College, Sean is fluent in Portuguese and resides in the Crown Heights neighborhood of Brooklyn. 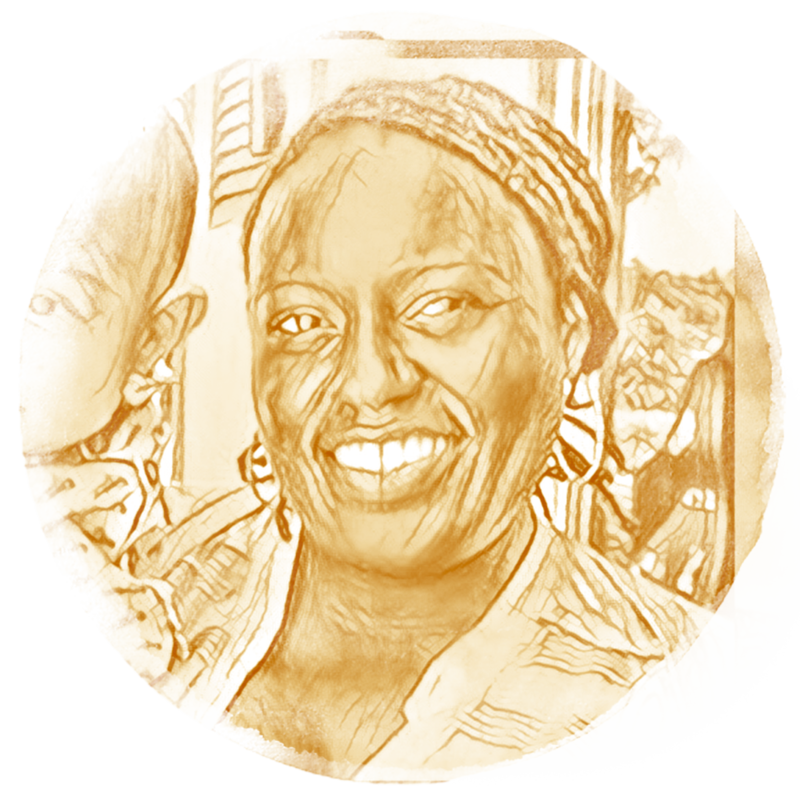 Miya has an extensive background in community organizing and working in the environmental justice movement. In her early twenties she was the executive director of the largest student environmental network in the US, the Student Environmental Action Coalition, SEAC, and worked broadly in international environment and development networks organizing for environmental and economic justice. Miya was a participant in the First National People of Color Environmental Leadership Summit in 1991, and was on the drafting committee of the original Principles of Environmental Justice, a defining document for the environmental justice movement. Miya first joined the APEN staff in the mid-90’s as a youth organizer, and has served as Lead Organizer, Development Director and APEN’s Associate Director. Miya has served as APEN’s Executive Director since November 2013 and has been proudly supporting APEN to be a leading force for transforming the energy economy in CA and for climate justice for all communities. As ED, she works to propel the organization and incredible opportunities created by fellow APEN trailblazers on staff, leaders and board, to a new level of power and effectiveness for climate justice and beyond through deep transformation from the personal to the political. The fight to abate the climate catastrophe is at a crossroads of opportunity, and APEN, with Miya at the helm is ready to answer the call in this movement moment and continue its 22 year winning streak as one of the most unique organizations in the country explicitly developing the leadership and power of low-income Asian American immigrant and refugee communities.